Give it up for the CBH Homes 2018 December Most Valuable Realtor! What’s your #1 tip to buying a new home? Brand-New is ALWAYS better! Favorite area in the Treasure Valley? I love the Village at Meridian! It’s a very nice place, with some great places to eat! Thanks to Realtors like Brandon, we’re able to continue to grow and build dreams. We couldn’t have done it without them. A big giant thank you from the CBH Crew! 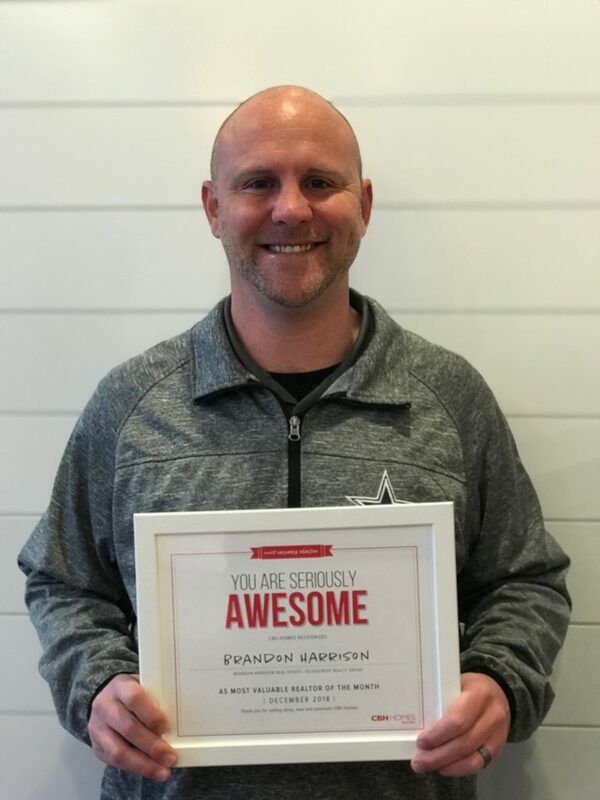 We’ll never forget our December Most Valuable Realtor! BIG Thank you to every one who closed a home in December. Austin Colton, Homes of Idaho Inc.
Katie Katruska, Homes of Idaho Inc.
Ligia Antimie, Expert Realty LLC. Olga Narvaez, Capital Group Inc. Curious who else has won? Click HERE to see our previous months MVR!